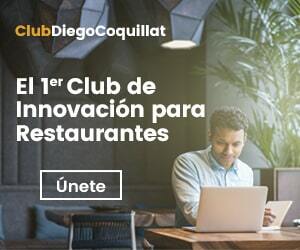 The market takeaway and it has reached 12 000 millions of euros, and more and more consumers join this amazing revolution in the way people consume the products offered by the catering sector. For this reason, some estimates put the potential market value of this segment of the industry in a 350 000 millions of euros, a figure that would reach around 2030. These companies are news every few minutes by technological innovations for restoration rushing with the aim of differentiate itself from competitors and gain a competitive advantage to rivals. Although some of these technological solutions are really leading, An example would delivery drones, waiters robots or vehicles equipped with autonomous driving; the reality is that much remains to be done even in the simplest applications. This is the case of the workspace intended for home food delivery. The trend of buying takeaways has recently appeared, and as it is logical to think, traditional restaurants are not adapted to operate efficiently with new market needs. As a temporary compromise has chosen to make small adjustments or reforms, but in this extremely competitive environment is no longer enough to step out with improvisations. The current reality is evidenced by the words of Tim Young, co-founder and CEO Eatsa, a technology company for restoration: "This new operating model need not be compatible with the existing space has created congestion and chaos". In many restaurants packages takeaways are stacked on the bar counter, in view of all the diners, offering a sense of sloppiness and carelessness everyone who passes by. Thats not all. In the case of the establishment whose success in service takeway It is more pronounced, It takes place Constant traffic dispatchers, They are occupying the space for diners who decide to visit the physical location to enjoy leisurely meal, resulting tremendously intrusive. To avoid delays, failures in delivery of orders and loss of efficiency, it is necessary that the workspace is oriented restaurant home delivery. So that, some part of the establishment must be prepared to provide an interface to the external service of home delivery of food with which it collaborates. Collecting food in restaurants has become a colossal problem, since each has his methods. Nothing has to see how operates a traditional restaurant in the center of Madrid, a McDonald's located in a shopping center. It's more, in EE. UU., each restaurant McDonald’s He has had to go through a individual assessment to estimate the most convenient way to facilitate the collection of takeaways. That is to say, It had to make more than 14 000 Studies with consequent decisions. A headache that has certainly been positive, for his still young business relationship with Uber Eats it has been of good news in recent quarters. For a similar situation happened GrubHub, who they have had to offer personalized advice to each of the restorers that make up its network of local partners. The radical change has come from the hand of Chipotle. During a pilot project in one of its establishments in New York, the takeaway packaged for transport and was left on a shelf, placed in alphabetical order by name and surname of the person who had executed the order. Thus dispatchers had nothing to get to the restaurant, approach the ledge and collect relevant bag. The experience was a resounding success. Not only increased satisfaction deliverers, always beset to meet delivery times, but also improved service times Chipotle, chain boasts being the the best of the best what to expect in regards. After checking the proper functioning of such a simple system, They are now 1000 establishments which are equipped with this type of segregated shelves intended for placing orders to carry ready to go. And more are on the way. Chipotle is already studying how to incorporate necessary furniture in older premises. A simple restructuring work space that generates benefits for both restaurateurs and consumers. Something of this caliber, despite its simplicity, I could not go unnoticed. That is why at this time several companies offer specialized furniture for areas intended for home delivery of food in restaurants. Of all these highlights, undoubtedly, bet Eatsa. Tim Young's company has developed a presentable shelf known by the name Spotlight Pickup System, she Spot, to shorten. It's about a modular furniture with small segments allowing installation even in the most crowded corners. Far from being a piece of wood without much mystery, Spot incorporates the electronics design. 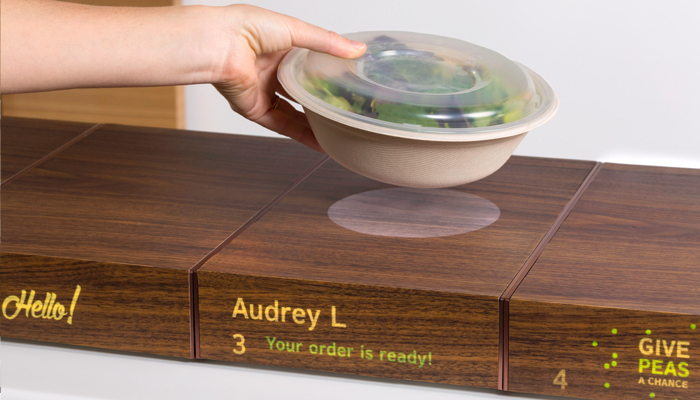 Thanks to that, the names of those who place orders appear dimly lit on the front of the shelf. Not so bright as to disturb or dazzle diners, but sufficiently distinctive to be read quickly by deliverers. The technology pictures It is not the only secret behind the Spot. It is also equipped with a weight sensor able to detect when the order has been placed above the support. If you desired, You can configure this instant notifications issued the manager, the dealer or diners waiting at home. You could even warn of an order whose delivery has been delayed beyond the time stipulated, for if I had to cook again content, if they so desired. This smart furniture for restoration demonstrates some of the keys that will be vital in restructuring the workspace in the restaurant: ease, innovation, connectivity and versatility. Young, happy, comments: «[…] honestly, We're taking a lot of traction, because everyone is trying to solve this problem ". Clear demonstration that a genius need not be a complex machine.